Are you a Kansas City guru? Be heard and share your experiences by becoming an 816area.com Contributor. Learn More! Are you a local in the Kansas City area? Join your community and Get Connected with others in your area. Join FREE! Planning fun things to do isn't always easy. While there are lots of interesting spots to check out in Kansas City, sometimes you want to do something a little out of the box. If having a good time and bouncing on trampolines sounds like your ideal outing, Sky Zone Lee's Summit is where you need to be, it's indoor fun for the whole family! 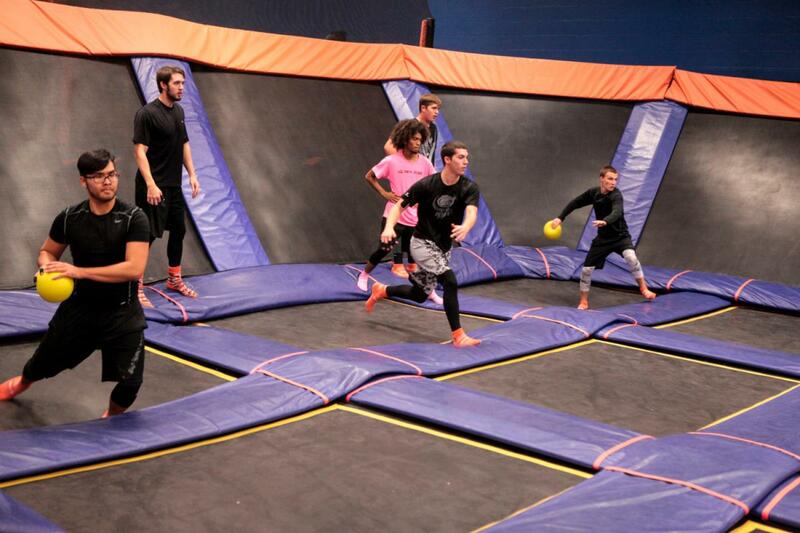 This trampoline park offers fun for all ages with a variety of high energy activities as well as a new warrior course. Sky Zone Lee's Summit has tons of attractions. Their core ones are the Foam Zone, where you can fly in the air and land on soft sponge blocks, Ultimate Dodgeball where the old PE game gets revamped, Freestyle Jump where you can jump freely with friends, and SkySlam where you can wow the crowd with your best basketball moves. And the fun doesn't end there, the warrior course is a fairly new addition to the park offering five attractions that you won't want to miss. Guest can now enjoy the state of the art Ninja warrior course, an extreme obstacle course that challenges their balance, skill, and endurance, Free Climb, a climbing wall that test guests' strength and stamina by having them hang over the pit, Warped Wall, where guest are faced with the curved incline of different heights, and finally Sky Joust and Sky Ladder, both of which playfully test the balance and strength of friends. Altogether in the warrior course, you'll channel your inner athlete with this attraction that was built to test your abilities by running into a variety of obstacles that you'll need your speed, strength, and agility to overcome. Best of all you can run through the course as many times as you please to beat your best record or challenge friends in a competitive yet friendly environment. Ready to take part in the fun? Visit the park when it's open from 3 p.m. to 8 p.m. Tuesday through Thursday, 11 a.m. to midnight Friday, 10 a.m. to midnight Saturday, and 11 a.m. to 7 p.m. Sunday! It's indoor fun for the whole family! Get ready to become an athlete at Sky Zone Lee's Summit where not even the sky's the limit. Stay connected with all things Kansas City, by joining 816area. We have all the fun things to do in Kansas City and your registration is always free!